Good old Cindy hand is on the blog today. 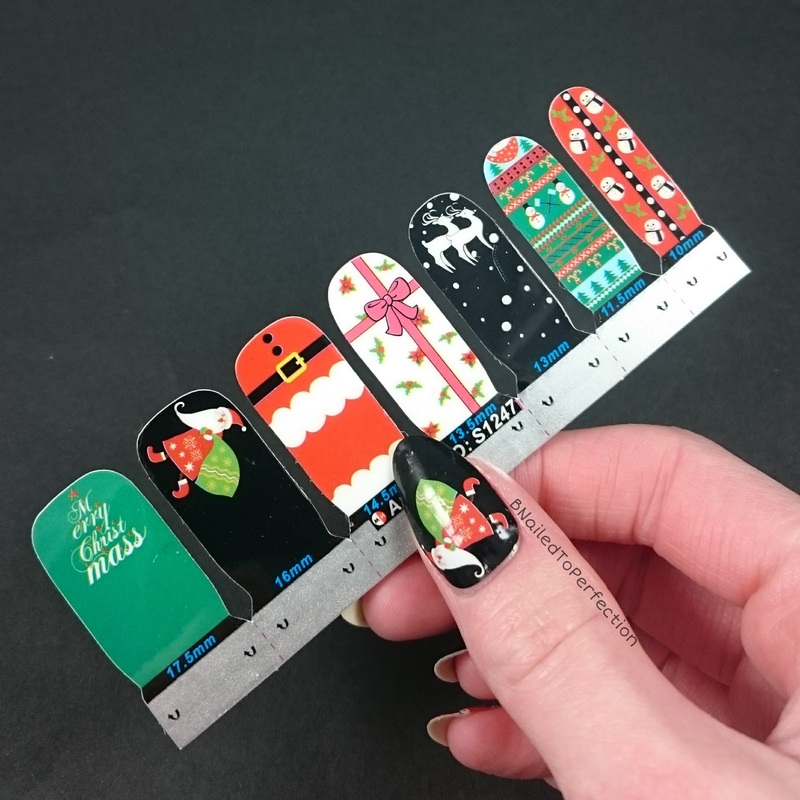 The reason for this is because I wanted to see how easy these Christmas nail wraps were to apply (1 Sheet Christmas Snowflake Nail Wraps Flower Full Nail Sticker- 14 patterns). Turns out they were easy but not easy to pose with Cindy! In the package you get two strips, so enough to do both hands once. 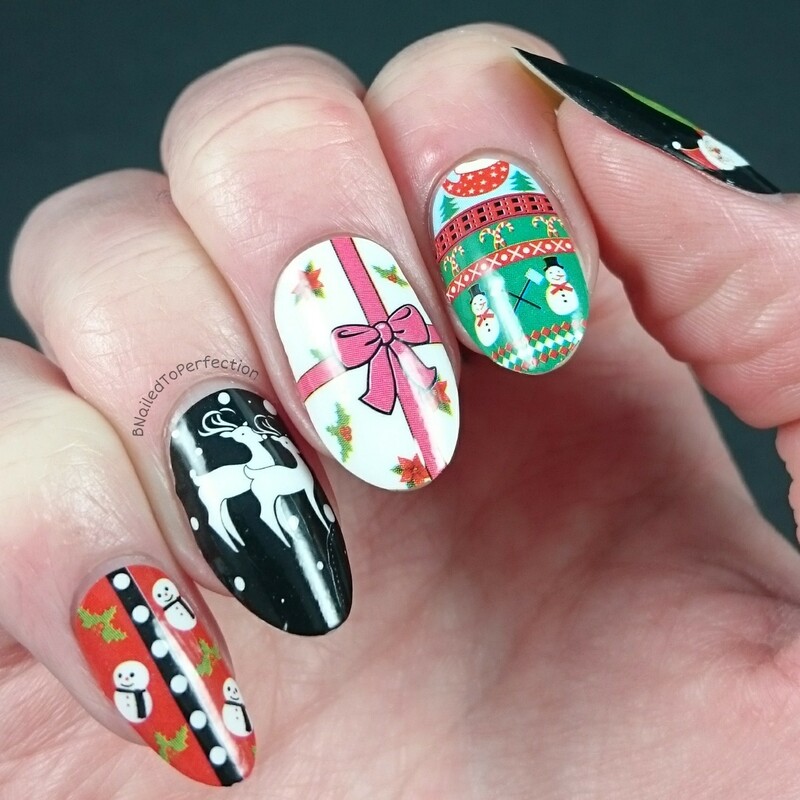 As you can see I went for the Christmas design ones which has lovely images. There are six wraps on each strip which means you have a good size variation. As I said they are very easy to apply. You chose the right size for your nail. Peel off the clear plastic from the front of the wrap and peel it from the backing paper. Apply to your nail and smooth out the creases. 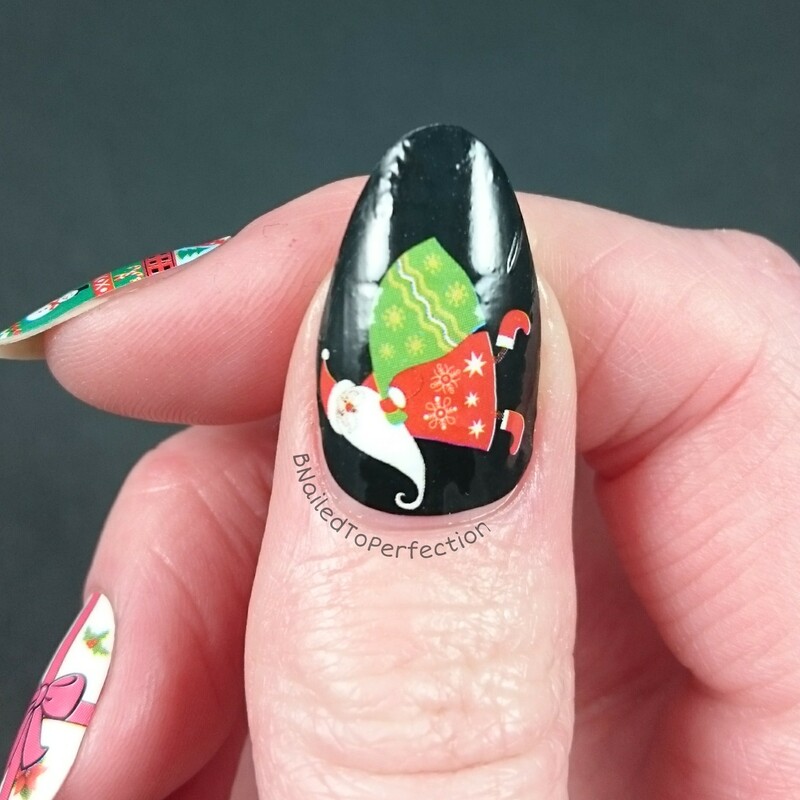 Then file off the excess at a 45 degree angle and seal in with your preferred top coat and voilà....Santa will be ready with all the presents! hehe I'm a big kid when it comes to Christmas. What do you think of these nails? Have you tried nail wraps before?